If you live in or around the North West and are looking for something to entertain the whole family this (probably rainy) August Bank holiday weekend then look no further Legoland Discovery Centre is the place! Not only have they got lots to entertain all ages they also have some great offers! Located in Barton Square at The Trafford Centre, the LEGOLAND Discovery Centre is made up of a series of interactive features to immerse kids into a world where their imagination can run wild with creative inspiration at every turn. Featuring a whole host of exciting attractions from the Kingdom Quest ride to an amazing recreation of the North West’s most iconic buildings, the Centre not only provides fun for LEGO fans young and old, but fantastic educational benefits too! They also have a Alien Invasion event at MINILAND, running until Sunday 28th August! A Martian on Manchester's Town Hall or at Old Trafford? 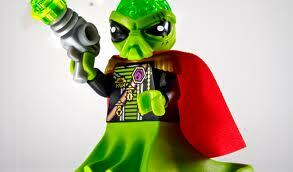 Aliens are set to invade MINILAND at the LEGOLAND Discovery Centre! MINILAND is built from more than 1.5 million LEGO bricks and brings the local area to miniature life with moving airships and trains! My almost 4 year old was facinated by this on our recent vist! Kids are encouraged to come dressed in costume - think green or whatever their imaginations can conjure up. Alien soldiers will take over MINILAND completely and kids will be challenged with finding the Alien commander to be in with a chance of winning a prize. There are loads of prizes from the Alien Conquest LEGO range up for grabs. Plus, spend £30 or more on Alien Conquest LEGO, and receive a FREE limited edition Alien Conquest brick! They are also still showing the fabulous Clutch Powers 4D Adventure film at Manchester's only 4D cinema! “A Clutch Power 4D Adventure" follows Clutch and his team on a hilarious and fun-filled mission to obtain a special mystery box for Professor Brick-a-Brack. The team splits up and takes to land, air and sea to retrieve the box—but when evil rock monsters threaten to take the box and its contents, the LEGO characters must put their differences aside and work as a team to rescue the box. 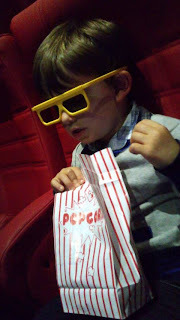 We attended the premier of this a few weeks ago and Ben was glued to the screen! Read all about our visit here! So why not treat the family to a fun day out before the children go back to school! With prices from £8.10 per person. It won't break the bank! And if you live near by don't forget about the fabulous season ticket offer so you can return again and again! Kids would love the lego land. So what are you waiting for? Go book a hotel and manchester is waiting for you.